Hello people of the internet!!! On today’s ‘YouTube Wednesday’ we are going to discuss an up and coming YouTube star that you might already be familiar with. This amazing vocalist found fame at a very young age, and was able to captivate audiences with is talent, charisma, and natural star power. Does the name Stevie Brock ring a bell? If you were a fan of Disney Channel/Radio Disney in the early 2000s then be prepared for some major déjà vu, and learn why Stevie is on the verge of a major career upswing. So sit down, read the blog, and prepare to witness musically greatness (trust me if you don’t already, you’re going to love him after reading this post). Stevie Brock was born on October 23rd, 1990 in Centerville, OH (I found conflicting sources on this, so it could have been Centerville or Dayton, OH). Stevie began singing at a very young age, and at the ripe old age of 11, was discovered in Dayton, Ohio, and signed to WIRE Records (which was an Orlando, FL based record company owned by veteran manager Johnny Wright, who has managed successful groups and artists such as: New Kids on the Block, the Backstreet Boys, *NSYNC, the Jonas Brothers, Menudo, Janet Jackson, Justin Timberlake, Britney Spears, and Ciara). 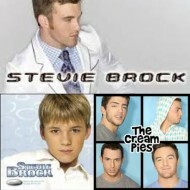 In 2002, Stevie was a guest vocalist on the group Triple Image’s single ‘Boy Next Door’ (Triple Image, Stevie Brock – Boy Next Door). In 2003 Stevie released his debut self-titled album, which included a cover of the hit track ‘All for Love’ (Stevie Brock – All For Love) originally by the group Color Me Badd. ‘All for Love’ became a hit single for Stevie as well, and received a lot of rotation on radio stations such as Radio Disney, and was also included on the ‘Radio Disney Jams, Vol. 6’ CD. He later released a corresponding music video for the track. Also in 2003, Stevie toured with fellow pop sensation Aaron Carter on his ‘Aaron’s Jukebox World Tour’, and later toured on Radio Disney tours such as: the ‘Jingle Jam’ Tour with Greg Raposo and Jesse McCartney, and Jump 5’s 2004 ‘Spring Thing’ Tour. Stevie’s career continued to soar in 2004, when he was asked to record the track ‘Zip-A-Dee-Doo-Dah’ (Stevie Brock – Zip-A-Dee-Doo-Dah, which was originally on the 1940s Disney movie ‘Song of the South’) for the ‘DisneyMania 2’ album, ‘Santa Claus Is Coming to Town’ for the ‘Radio Disney Jingle Jams’ CD, and ‘Three Is A Magic Number’ for the soundtrack to Disney’s animated feature Mickey, Donald, Goofy: The Three Musketeers (Three is a Magic Number -Greg Raposo, Matt Ballinger and Stevie Brock – YouTube, along with former members of the boy band ‘Dream Street’, Greg Raposo and Matt Ballinger). After some time, Stevie was no longer under contract with WIRE records, and moved back home to Centerville, OH, where he graduated high school in 2009. Stevie moved to Los Angeles, CA upon completing high school, and continued to perform in numerous venues, while continuing to build a very loyal fan base. Stevie released his first new single (since his 2003 debut album) on April 26th, 2012, entitled ‘Final Offer’ (Stevie Brock – “Final Offer” (Official Video)). This music video for the track is a very artistically cool piece, which shows multiple shot transitions, and is entirely in black and white. The video really focuses on Stevie’s voice, and is a very cool change from your typical music video. Stevie uploaded his first YouTube cover on September 3rd, 2010. The video was an acoustic cover of Taio Cruz’s hit track ‘Dynamite’ (Stevie Brock Covers – Taio Cruz “Dynamite” Acoustic). I felt like this was the perfect song for Stevie to cover, because it left a lasting impact that would draw in new fans, and allow old fans to see just how much Stevie has grown as an entertainer. This rendition allows fans to see just how hard Stevie has been working over the past few years. His vocals are extremely well controlled, and his ease and charisma just leaps off screen. Although Stevie was always an incredible entertainer, he now appears to have an ease and confidence that truly allows his talent and passion for music to shine through. The video that we’re going to discuss is Stevie Brock’s cover of the Stevie Wonder classic ‘Signed, Sealed, Delivered (I’m Yours)(‘Stevie Brock Live – Stevie Wonder’s “Signed, Sealed, Delivered (I’m Yours)” at The Roxy – 05.09.12) which was uploaded on April 3rd, 2011. The video shows Stevie Brock performing the hit song live, and once again proves the he has blossomed into a true entertainer. First of all, this is an extremely difficult song to sing due to the track’s insane vocal runs, and difficult notes. Secondly Stevie Wonder’s original rendition of the song is so flawless that it is almost impossible for any artist to cover. With all this said, I really loved Stevie Brock’s rendition, and I think that watching this video definitely proves what a powerhouse vocalist Stevie Brock is. The final cover video that we are going to discuss in right now (even through honestly we could discuss all of his videos in great detail), is Stevie’s cover of Mario’s hit track ‘Let Me Love You’ Stevie Brock Live – Mario’s “Let Me Love You” at The Roxy 05.09.12), which was uploaded May 25th, 2012. I really love that Stevie covered this song, because it allowed us to see that he has the artistry to take on an emotionally driven track. He proved that not only can he perform a song that makes us want to get up and dance, but he can also make us feel the emotion behind the lyrics of a song. In 2013, Stevie and 3 of his high school friends (Dan Cox, Bill Reilich, and Dan Burtenshaw) reformed a Hip-Hop parody singing group called The Cream Pies that they had originally formed on high school. On January 9th, 2014 (The Cream Pies – We Love You, Ellen (Official Music Video)), The Cream Pies uploaded a tribute video to talk show host Ellen DeGeneres, which she featured on her show on January 15th, 2014. The video featured a hilarious Hip-Hop/R&B track, in which the various members of The Cream Pies took turns explaining why they loved Ellen. The video included some of Ellen’s famous games, catchphrases, and even ended with her famous ending phrase “anyway…” (C’mon you’ve seen the show; you know what I’m talking about). She invited The Cream Pies to be guests on the show, and they made their debut appearance on January 22nd, 2014 (The Cream Pies Are Here!). Ellen interviewed the group, and then they performed their Ellen tribute song love on the show (they even also received new ‘Ellen’ shirts to wear while they performed). Once the performance was over, Ellen gave the group a free trip to Las Vegas. At the age of 23, Stevie has already had over a decade of experience in the music industry, and has proven time and time again that he has what it take to captivate an audience and turn them into lifelong fans. Over the years, Stevie has transformed from a teen heartthrob, into a mature adult vocalist, a task that is not always easy to succeed at. Due to his unique yet natural “it” factor, Stevie has been able to perfectly cultivate his growing image, while also staying true to the artist that his original fans grew to love. I can definitely see big things ahead for Stevie, and it is obvious that this talented guy will succeed with his solo career, The Cream Pies, and any other endeavor that he take on. It will certainly not be long before we are all fortunate enough to hear more music from this rising star, after all, he does it all for love. All photos and information used in this blog belong to Stevie Brock, Disney Channel, Radio Disney, New Kids on the Block, the Backstreet Boys, *NSYNC, the Jonas Brothers, Menudo, Janet Jackson, Justin Timberlake, Britney Spears, Ciara, Triple Image, Color Me Badd, Aaron Carter, Jump 5,Greg Raposo, Jesse McCartney, Song of the South, Santa Claus is Comin’ to Town, Mickey, Donald, Goofy: The Three Musketeers, Dream Street, Radio Disney Jingle Jams, Taio Cruz, Matt Ballinger, Johnny Wright, WIRE Records, Stevie Wonder, Mario, the Cream Pies, Dan Cox, Bill Reilich, Dan Burtenshaw, Ellen DeGeneres, all of the record labels, businesses, individuals, companies associated with any of the previously mentioned songs, artists, businesses, or individuals, the YouTube channels: Kanaal van Konijntje, DisneyManiaMusic101, and all other original owners. I do not own anything in this blog. All opinions expressed in this blog are my own. I wrote this blog for entertainment purposes and no copyright infringement is intended. celindareyesblog July 23, 2014 No Comments on YouTube Wednesday: Stevie Brock…the rising Pop/R&B star who you will fall in love with all over again. 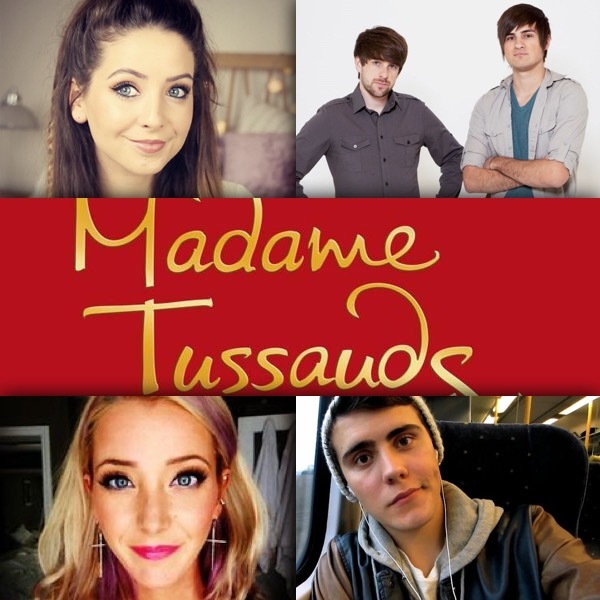 Category: YouTube Wednesday. Tagged: *NSYNC, 2000s, aaron carter, all for love, backstreet boys, bill reilich, color me badd, dan burtenshaw, dan cox, disney channel, dream street, ellen degeneres, janet jackson, Jesse McCartney, jingle jams, johnny wright, jonas brothers, justin timberlake, mario, music, new, pop, r&b, radio disney, stevie brock, stevie wonder, taio cruz, the cream pies, WIRE Records.